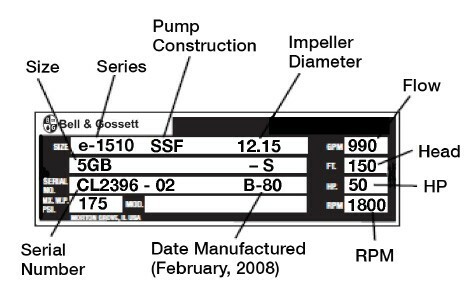 Bell & Gossett Series e-1510 pumps replace Series 1510. 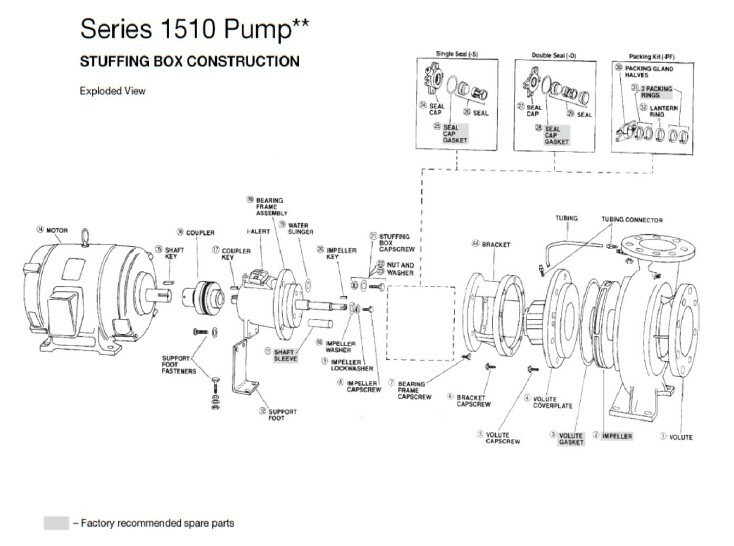 Parts are still available for Series 1510 pumps. 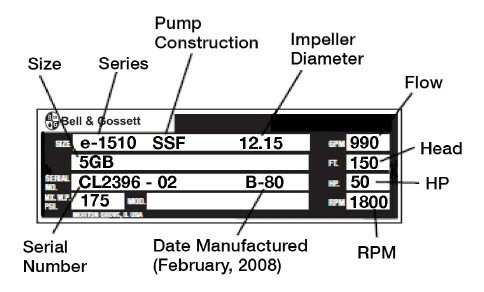 Bell & Gossett e-1510 pumps are custom-built base-mounted, end suction centrifugal pumps that utilize a complete bearing assembly. 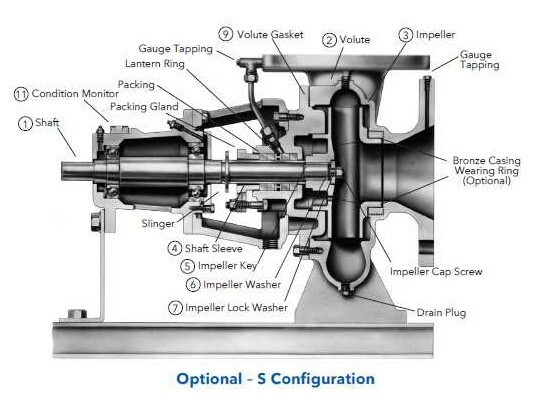 Series e-1510 pumps are available in a wide range of horse powers and pipe connection sizes as well as flows of up to 4000 GPM and heads to 500 feet. 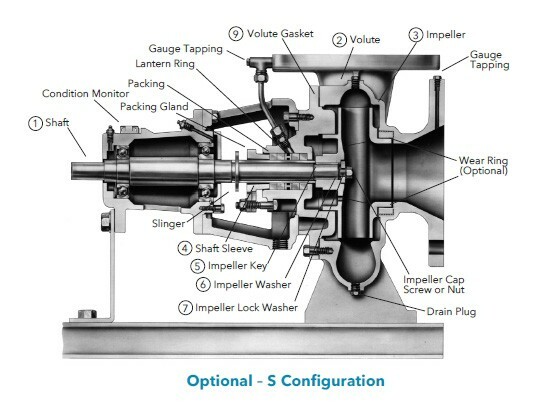 The industrial Series e-1510 comes standard with an internally flushed mechanical seal, welded steel baseplate, precision computer controlled impeller balancing, solid-foot mounted volute, and center drop-out spacer coupling. True back pullout capability makes maintenance easy and virtually eliminates extended delays for repairs. This Bell & Gossett Series e-1510 model 2.5AC is a small bearing frame, base-mounted centrifugal pump used for commercial hydronic heating and cooling. 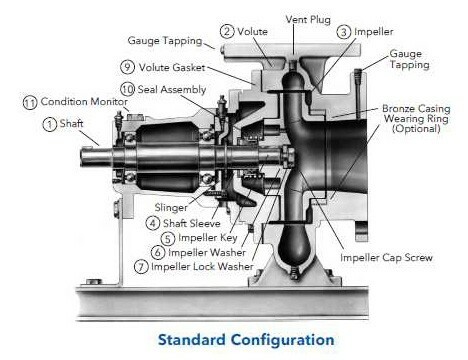 This pump features a 3" 125 psi flanged end suction and a 2-1/2" 125 psi flanged top discharge. Its motor is 3 HP, 1750 RPM, three phase, and open drip proof (ODP). This Bell & Gossett Series e-1510 model 1.25AD is a small bearing frame, base-mounted centrifugal pump used for commercial hydronic heating and cooling. This pump features a 1-1/2" NPT end suction and a 1-1/4" NPT top discharge. Its motor is 1 HP, 1750 RPM, three phase, and open drip proof (ODP). This Bell & Gossett Series e-1510 model 1.25AD is a small bearing frame, base-mounted centrifugal pump used for commercial hydronic heating and cooling. This pump features a 1-1/2" NPT end suction and a 1-1/4" NPT top discharge. Its motor is 1 HP, 1750 RPM, three phase, and totally enclosed fan-cooled (TEFC). This Bell & Gossett Series e-1510 model 1.25AD is a small bearing frame, base-mounted centrifugal pump used for commercial hydronic heating and cooling. This pump features a 1-1/2" NPT end suction and a 1-1/4" NPT top discharge. Its motor is 1-1/2 HP, 1750 RPM, three phase, and open drip proof (ODP). This Bell & Gossett Series e-1510 model 1.25AD is a small bearing frame, base-mounted centrifugal pump used for commercial hydronic heating and cooling. This pump features a 1-1/2" NPT end suction and a 1-1/4" NPT top discharge. Its motor is 1-1/2 HP, 1750 RPM, three phase, and totally enclosed fan-cooled (TEFC). This Bell & Gossett Series e-1510 model 1.25AD is a small bearing frame, base-mounted centrifugal pump used for commercial hydronic heating and cooling. This pump features a 1-1/2" NPT end suction and a 1-1/4" NPT top discharge. Its motor is 3 HP, 3550 RPM, three phase, and open drip proof (ODP). This Bell & Gossett Series e-1510 model 1.25AD is a small bearing frame, base-mounted centrifugal pump used for commercial hydronic heating and cooling. This pump features a 1-1/2" NPT end suction and a 1-1/4" NPT top discharge. Its motor is 3 HP, 3550 RPM, three phase, and totally enclosed fan-cooled (TEFC). This Bell & Gossett Series e-1510 model 1.25AD is a small bearing frame, base-mounted centrifugal pump used for commercial hydronic heating and cooling. This pump features a 1-1/2" NPT end suction and a 1-1/4" NPT top discharge. Its motor is 5 HP, 3550 RPM, three phase, and open drip proof (ODP). This Bell & Gossett Series e-1510 model 1.25AD is a small bearing frame, base-mounted centrifugal pump used for commercial hydronic heating and cooling. This pump features a 1-1/2" NPT end suction and a 1-1/4" NPT top discharge. Its motor is 5 HP, 3550 RPM, three phase, and totally enclosed fan-cooled (TEFC). This Bell & Gossett Series e-1510 model 1.25AD is a small bearing frame, base-mounted centrifugal pump used for commercial hydronic heating and cooling. This pump features a 1-1/2" NPT end suction and a 1-1/4" NPT top discharge. Its motor is 7-1/2 HP, 3550 RPM, three phase, and open drip proof (ODP). This Bell & Gossett Series e-1510 model 1.25AD is a small bearing frame, base-mounted centrifugal pump used for commercial hydronic heating and cooling. This pump features a 1-1/2" NPT end suction and a 1-1/4" NPT top discharge. Its motor is 7-1/2 HP, 3550 RPM, three phase, and totally enclosed fan-cooled (TEFC). This Bell & Gossett Series e-1510 model 1.25AD is a small bearing frame, base-mounted centrifugal pump used for commercial hydronic heating and cooling. This pump features a 1-1/2" NPT end suction and a 1-1/4" NPT top discharge. Its motor is 10 HP, 3550 RPM, three phase, and open drip proof (ODP). This Bell & Gossett Series e-1510 model 1.25AD is a small bearing frame, base-mounted centrifugal pump used for commercial hydronic heating and cooling. This pump features a 1-1/2" NPT end suction and a 1-1/4" NPT top discharge. Its motor is 10 HP, 3550 RPM, three phase, and totally enclosed fan-cooled (TEFC). This Bell & Gossett Series e-1510 model 1.5AD is a small bearing frame, base-mounted centrifugal pump used for commercial hydronic heating and cooling. This pump features a 2" NPT end suction and a 1-1/2" NPT top discharge. Its motor is 1 HP, 1750 RPM, three phase, and open drip proof (ODP). 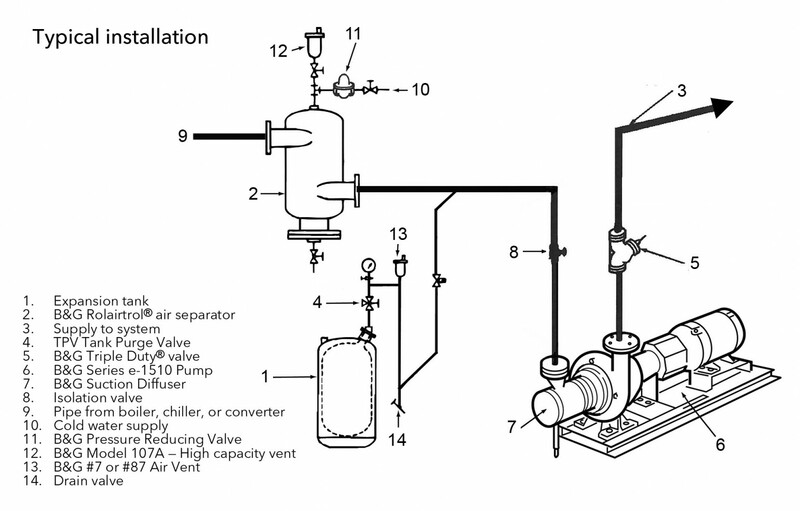 This Bell & Gossett Series e-1510 model 1.5AD is a small bearing frame, base-mounted centrifugal pump used for commercial hydronic heating and cooling. This pump features a 2" NPT end suction and a 1-1/2" NPT top discharge. Its motor is 1 HP, 1750 RPM, three phase, and totally enclosed fan-cooled (TEFC). This Bell & Gossett Series e-1510 model 1.5AD is a small bearing frame, base-mounted centrifugal pump used for commercial hydronic heating and cooling. This pump features a 2" NPT end suction and a 1-1/2" NPT top discharge. Its motor is 1-1/2 HP, 1750 RPM, three phase, and open drip proof (ODP). This Bell & Gossett Series e-1510 model 1.5AD is a small bearing frame, base-mounted centrifugal pump used for commercial hydronic heating and cooling. This pump features a 2" NPT end suction and a 1-1/2" NPT top discharge. Its motor is 1-1/2 HP, 1750 RPM, three phase, and totally enclosed fan-cooled (TEFC). 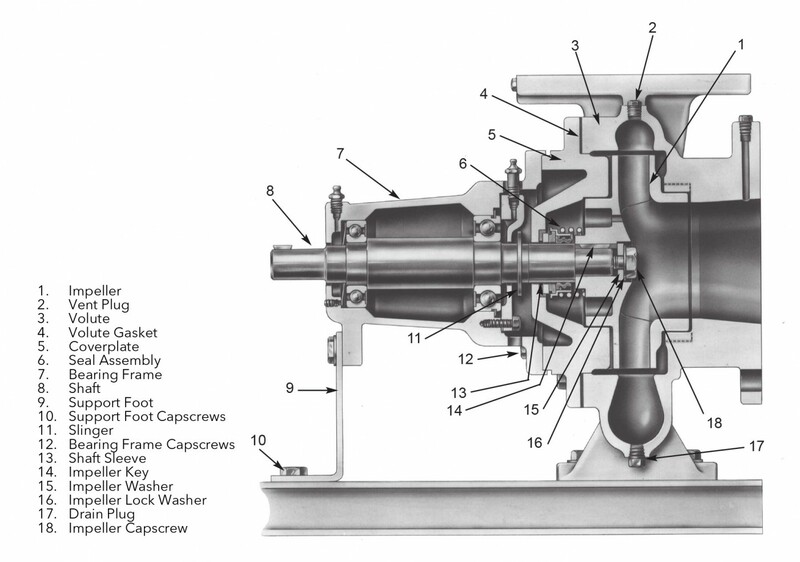 This Bell & Gossett Series e-1510 model 1.5AD is a small bearing frame, base-mounted centrifugal pump used for commercial hydronic heating and cooling. This pump features a 2" NPT end suction and a 1-1/2" NPT top discharge. Its motor is 2 HP, 1750 RPM, three phase, and open drip proof (ODP). 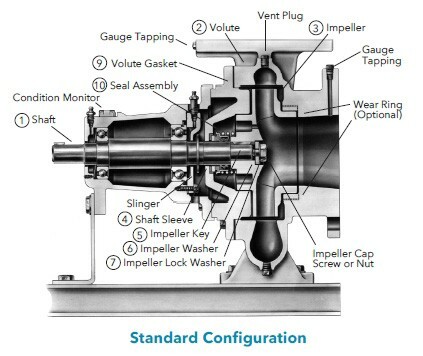 This Bell & Gossett Series e-1510 model 1.5AD is a small bearing frame, base-mounted centrifugal pump used for commercial hydronic heating and cooling. This pump features a 2" NPT end suction and a 1-1/2" NPT top discharge. Its motor is 2 HP, 1750 RPM, three phase, and totally enclosed fan-cooled (TEFC). This Bell & Gossett Series e-1510 model 1.5AD is a small bearing frame, base-mounted centrifugal pump used for commercial hydronic heating and cooling. This pump features a 2" NPT end suction and a 1-1/2" NPT top discharge. Its motor is 5 HP, 3550 RPM, three phase, and open drip proof (ODP). This Bell & Gossett Series e-1510 model 1.5AD is a small bearing frame, base-mounted centrifugal pump used for commercial hydronic heating and cooling. This pump features a 2" NPT end suction and a 1-1/2" NPT top discharge. Its motor is 5 HP, 3550 RPM, three phase, and totally enclosed fan-cooled (TEFC). This Bell & Gossett Series e-1510 model 1.5AD is a small bearing frame, base-mounted centrifugal pump used for commercial hydronic heating and cooling. This pump features a 2" NPT end suction and a 1-1/2" NPT top discharge. Its motor is 7-1/2 HP, 3550 RPM, three phase, and open drip proof (ODP). This Bell & Gossett Series e-1510 model 1.5AD is a small bearing frame, base-mounted centrifugal pump used for commercial hydronic heating and cooling. This pump features a 2" NPT end suction and a 1-1/2" NPT top discharge. Its motor is 7-1/2 HP, 3550 RPM, three phase, and totally enclosed fan-cooled (TEFC). 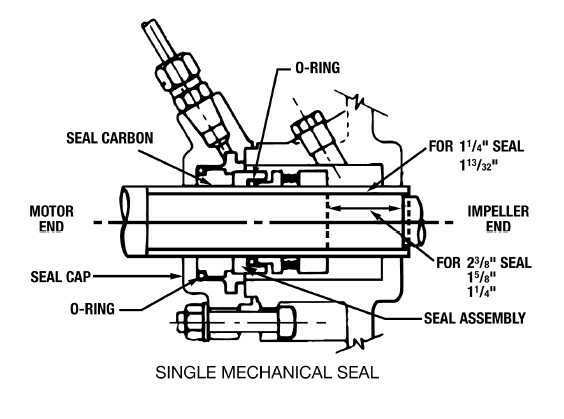 This Bell & Gossett Series e-1510 model 1.5AD is a small bearing frame, base-mounted centrifugal pump used for commercial hydronic heating and cooling. This pump features a 2" NPT end suction and a 1-1/2" NPT top discharge. Its motor is 10 HP, 3550 RPM, three phase, and open drip proof (ODP). This Bell & Gossett Series e-1510 model 1.5AD is a small bearing frame, base-mounted centrifugal pump used for commercial hydronic heating and cooling. This pump features a 2" NPT end suction and a 1-1/2" NPT top discharge. Its motor is 10 HP, 3550 RPM, three phase, and totally enclosed fan-cooled (TEFC). This Bell & Gossett Series e-1510 model 1.5AD is a small bearing frame, base-mounted centrifugal pump used for commercial hydronic heating and cooling. This pump features a 2" NPT end suction and a 1-1/2" NPT top discharge. Its motor is 15 HP, 3550 RPM, three phase, and open drip proof (ODP). This Bell & Gossett Series e-1510 model 1.5AD is a small bearing frame, base-mounted centrifugal pump used for commercial hydronic heating and cooling. This pump features a 2" NPT end suction and a 1-1/4" NPT top discharge. Its motor is 15 HP, 3550 RPM, three phase, and totally enclosed fan-cooled (TEFC). This Bell & Gossett Series e-1510 model 2AD is a small bearing frame, base-mounted centrifugal pump used for commercial hydronic heating and cooling. This pump features a 2-1/2" flanged end suction and a 2" flanged top discharge. Its motor is 1 HP, 1750 RPM, three phase, and open drip proof (ODP). This Bell & Gossett Series e-1510 model 2AD is a small bearing frame, base-mounted centrifugal pump used for commercial hydronic heating and cooling. This pump features a 2-1/2" flanged end suction and a 2" flanged top discharge. Its motor is 1 HP, 1750 RPM, three phase, and totally enclosed fan-cooled (TEFC). This Bell & Gossett Series e-1510 model 2AD is a small bearing frame, base-mounted centrifugal pump used for commercial hydronic heating and cooling. This pump features a 2-1/2" flanged end suction and a 2" flanged top discharge. Its motor is 1-1/2 HP, 1750 RPM, three phase, and open drip proof (ODP). This Bell & Gossett Series e-1510 model 2AD is a small bearing frame, base-mounted centrifugal pump used for commercial hydronic heating and cooling. This pump features a 2-1/2" flanged end suction and a 2" flanged top discharge. Its motor is 1-1/2 HP, 1750 RPM, three phase, and totally enclosed fan-cooled (TEFC). This Bell & Gossett Series e-1510 model 2AD is a small bearing frame, base-mounted centrifugal pump used for commercial hydronic heating and cooling. This pump features a 2-1/2" flanged end suction and a 2" flanged top discharge. Its motor is 2 HP, 1750 RPM, three phase, and open drip proof (ODP). This Bell & Gossett Series e-1510 model 2AD is a small bearing frame, base-mounted centrifugal pump used for commercial hydronic heating and cooling. This pump features a 2-1/2" flanged end suction and a 2" flanged top discharge. Its motor is 2 HP, 1750 RPM, three phase, and totally enclosed fan-cooled (TEFC). This Bell & Gossett Series e-1510 model 2AD is a small bearing frame, base-mounted centrifugal pump used for commercial hydronic heating and cooling. This pump features a 2-1/2" flanged end suction and a 2" flanged top discharge. Its motor is 3 HP, 1750 RPM, three phase, and open drip proof (ODP). This Bell & Gossett Series e-1510 model 2AD is a small bearing frame, base-mounted centrifugal pump used for commercial hydronic heating and cooling. This pump features a 2-1/2" flanged end suction and a 2" flanged top discharge. Its motor is 3 HP, 1750 RPM, three phase, and totally enclosed fan-cooled (TEFC). This Bell & Gossett Series e-1510 model 2AD is a small bearing frame, base-mounted centrifugal pump used for commercial hydronic heating and cooling. This pump features a 2-1/2" flanged end suction and a 2" flanged top discharge. Its motor is 5 HP, 3550 RPM, three phase, and open drip proof (ODP). This Bell & Gossett Series e-1510 model 2AD is a small bearing frame, base-mounted centrifugal pump used for commercial hydronic heating and cooling. This pump features a 2-1/2" flanged end suction and a 2" flanged top discharge. Its motor is 5 HP, 3550 RPM, three phase, and totally enclosed fan-cooled (TEFC). This Bell & Gossett Series e-1510 model 2AD is a small bearing frame, base-mounted centrifugal pump used for commercial hydronic heating and cooling. This pump features a 2-1/2" flanged end suction and a 2" flanged top discharge. 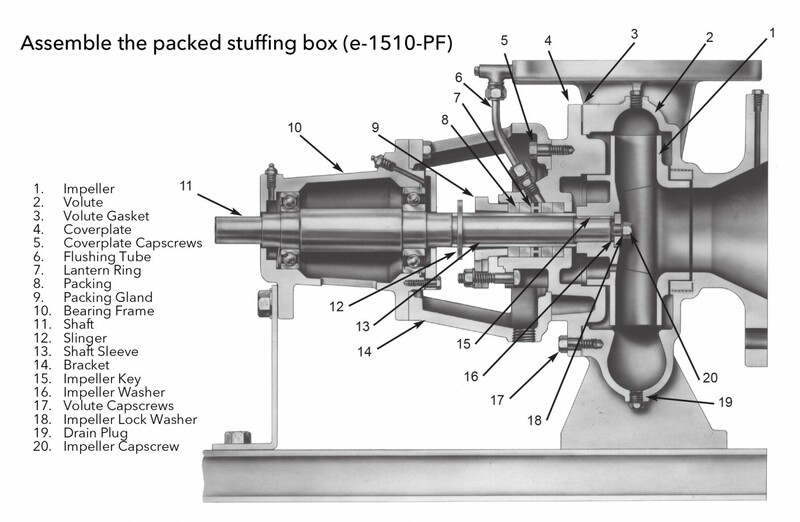 Its motor is 7-1/2 HP, 3550 RPM, three phase, and open drip proof (ODP). This Bell & Gossett Series e-1510 model 2AD is a small bearing frame, base-mounted centrifugal pump used for commercial hydronic heating and cooling. This pump features a 2-1/2" flanged end suction and a 2" flanged top discharge. Its motor is 7-1/2 HP, 3550 RPM, three phase, and totally enclosed fan-cooled (TEFC). This Bell & Gossett Series e-1510 model 2AD is a small bearing frame, base-mounted centrifugal pump used for commercial hydronic heating and cooling. This pump features a 2-1/2" flanged end suction and a 2" flanged top discharge. Its motor is 10 HP, 3550 RPM, three phase, and open drip proof (ODP). This Bell & Gossett Series e-1510 model 2AD is a small bearing frame, base-mounted centrifugal pump used for commercial hydronic heating and cooling. This pump features a 2-1/2" flanged end suction and a 2" flanged top discharge. Its motor is 10 HP, 3550 RPM, three phase, and totally enclosed fan-cooled (TEFC). This Bell & Gossett Series e-1510 model 2AD is a small bearing frame, base-mounted centrifugal pump used for commercial hydronic heating and cooling. This pump features a 2-1/2" flanged end suction and a 2" flanged top discharge. Its motor is 15 HP, 3550 RPM, three phase, and open drip proof (ODP). This Bell & Gossett Series e-1510 model 2AD is a small bearing frame, base-mounted centrifugal pump used for commercial hydronic heating and cooling. This pump features a 2-1/2" flanged end suction and a 2" flanged top discharge. Its motor is 15 HP, 3550 RPM, three phase, and totally enclosed fan-cooled (TEFC). This Bell & Gossett Series e-1510 model 2AD is a small bearing frame, base-mounted centrifugal pump used for commercial hydronic heating and cooling. This pump features a 2-1/2" flanged end suction and a 2" flanged top discharge. Its motor is 20 HP, 3550 RPM, three phase, and open drip proof (ODP). This Bell & Gossett Series e-1510 model 2AD is a small bearing frame, base-mounted centrifugal pump used for commercial hydronic heating and cooling. This pump features a 2-1/2" flanged end suction and a 2" flanged top discharge. Its motor is 20 HP, 3550 RPM, three phase, and totally enclosed fan-cooled (TEFC). This Bell & Gossett Series e-1510 model 2.5AC is a small bearing frame, base-mounted centrifugal pump used for commercial hydronic heating and cooling. This pump features a 3" flanged end suction and a 2-1/2" flanged top discharge. Its motor is 1 HP, 1750 RPM, three phase, and open drip proof (ODP). This Bell & Gossett Series e-1510 model 2.5AC is a small bearing frame, base-mounted centrifugal pump used for commercial hydronic heating and cooling. This pump features a 3" flanged end suction and a 2-1/2" flanged top discharge. Its motor is 1 HP, 1750 RPM, three phase, and totally enclosed fan-cooled (TEFC). This Bell & Gossett Series e-1510 model 2.5AC is a small bearing frame, base-mounted centrifugal pump used for commercial hydronic heating and cooling. This pump features a 3" flanged end suction and a 2-1/2" flanged top discharge. Its motor is 1-1/2 HP, 1750 RPM, three phase, and open drip proof (ODP). This Bell & Gossett Series e-1510 model 2.5AC is a small bearing frame, base-mounted centrifugal pump used for commercial hydronic heating and cooling. This pump features a 3" flanged end suction and a 2-1/2" flanged top discharge. Its motor is 1-1/2 HP, 1750 RPM, three phase, and totally enclosed fan-cooled (TEFC). This Bell & Gossett Series e-1510 model 2.5AC is a small bearing frame, base-mounted centrifugal pump used for commercial hydronic heating and cooling. This pump features a 3" flanged end suction and a 2-1/2" flanged top discharge. 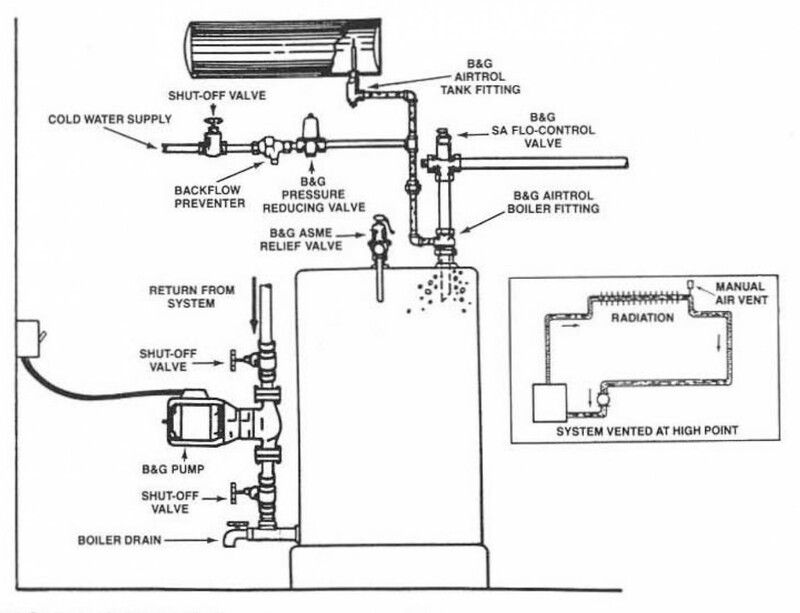 Its motor is 2 HP, 1750 RPM, three phase, and open drip proof (ODP). 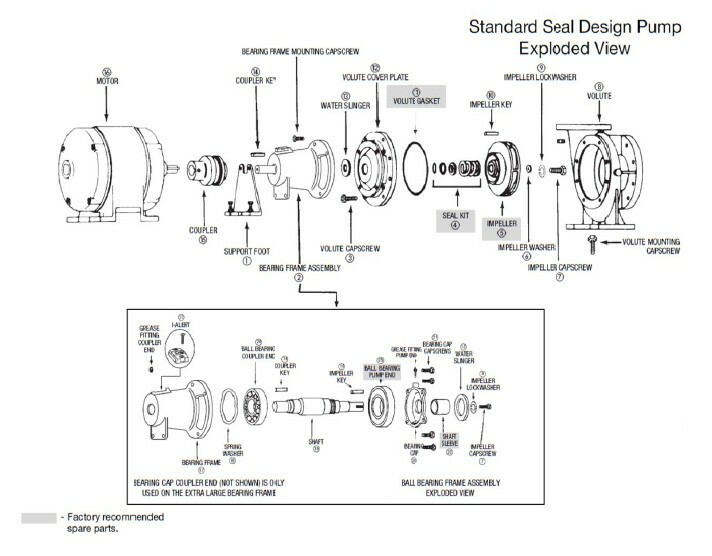 If you're hearing a lot of grinding and squealing when your Bell & Gossett Series 1510 pump is running, the bearings may need to be replaced. 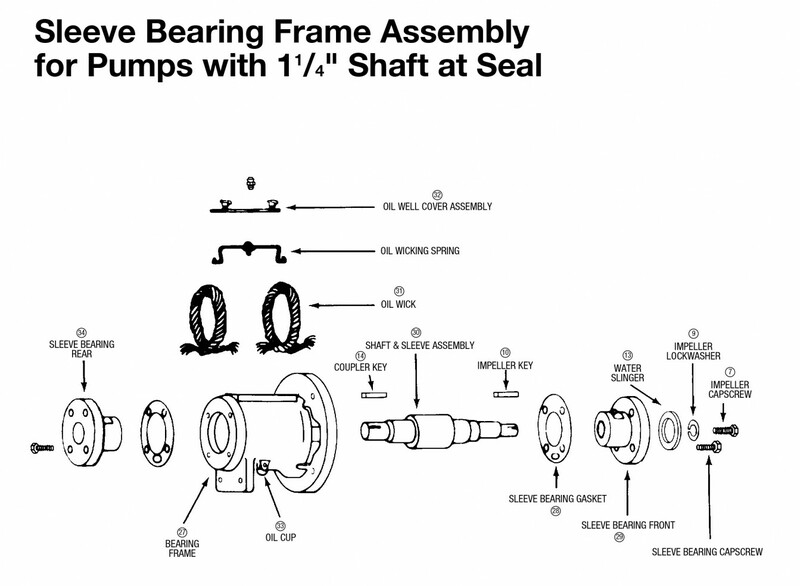 In this video, the Pump Doctor removes and replaces the damaged bearings. He also inspects the shaft to check for any damage there. Watch this six-part tutorial for Bell & Gossett Series 1510 pump maintenance from Bell & Gossett's industry-leading Little Red Schoolhouse. The Bell & Gossett Series 1510 is a centrifugal, frame-mounted end suction pump available in 1-1/4" through 8" sizes, 1/2 HP to 150 HP at 1750 RPM and 2 HP through 150 HP at 3500 RPM. Bronze-fitted and all iron material configurations are available with flows to 4000 GPM, and heads to 500 feet. The Bell & Gossett Series 1510 is a centrifugal, frame-mounted end suction pump available in 1-1/4" through 8" sizes, 1/2 HP to 150 HP at 1750 RPM and 2 HP through 150 HP at 3500 RPM. Bronze-fitted and all iron material configurations are available with flows to 4000 GPM, and heads to 500 feet. Part 1 discussed draining the pump in preparation for hex coupling guard and coupling removal. 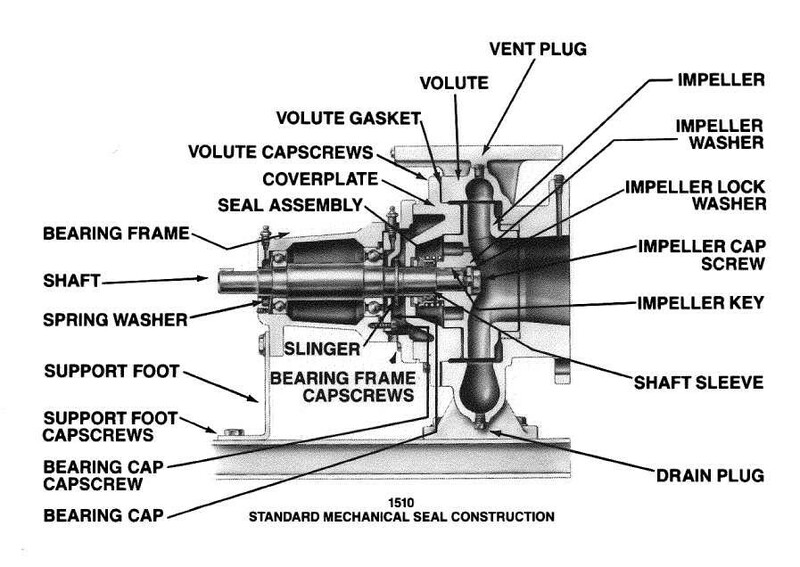 The Bell & Gossett Series 1510 is a centrifugal, frame-mounted end suction pump available in 1-1/4" through 8" sizes, 1/2 HP to 150 HP at 1750 RPM and 2 HP through 150 HP at 3500 RPM. Bronze-fitted and all iron material configurations are available with flows to 4000 GPM, and heads to 500 feet. Part 2 illustrated the removal of the hex coupling guard and coupling. The Bell & Gossett Series 1510 is a centrifugal, frame-mounted end suction pump available in 1-1/4" through 8" sizes, 1/2 HP to 150 HP at 1750 RPM and 2 HP through 150 HP at 3500 RPM. Bronze-fitted and all iron material configurations are available with flows to 4000 GPM, and heads to 500 feet. 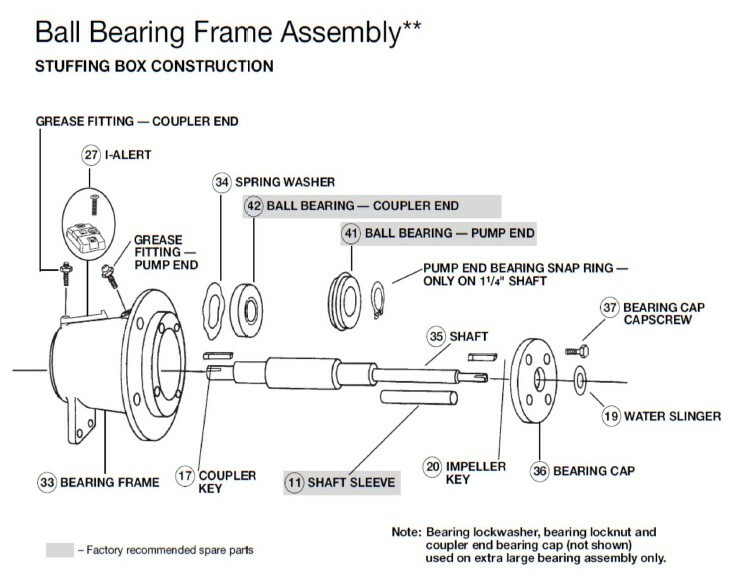 Part 3 outlined how to remove the bearing frame, impeller assembly, impeller and mechanical seal. The Bell & Gossett Series 1510 is a centrifugal, frame-mounted end suction pump available in 1-1/4" through 8" sizes, 1/2 HP to 150 HP at 1750 RPM and 2 HP through 150 HP at 3500 RPM. Bronze-fitted and all iron material configurations are available with flows to 4000 GPM, and heads to 500 feet. 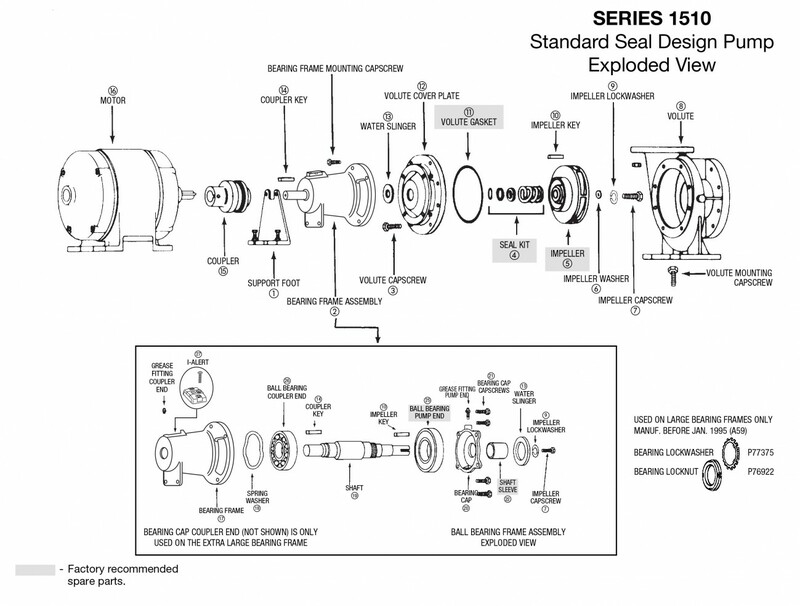 Part 4 outlined disassembly for Series 1510 pumps to conduct maintenance. The Bell & Gossett Series 1510 is a centrifugal, frame-mounted end suction pump available in 1-1/4" through 8" sizes, 1/2 HP to 150 HP at 1750 RPM and 2 HP through 150 HP at 3500 RPM. Bronze-fitted and all iron material configurations are available with flows to 4000 GPM, and heads to 500 feet. 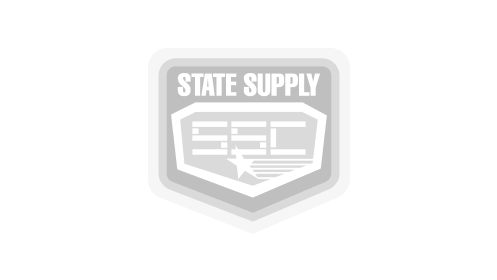 Once reassembly has occurred (Part 5), this video demonstrates how to install the hex coupling guard. 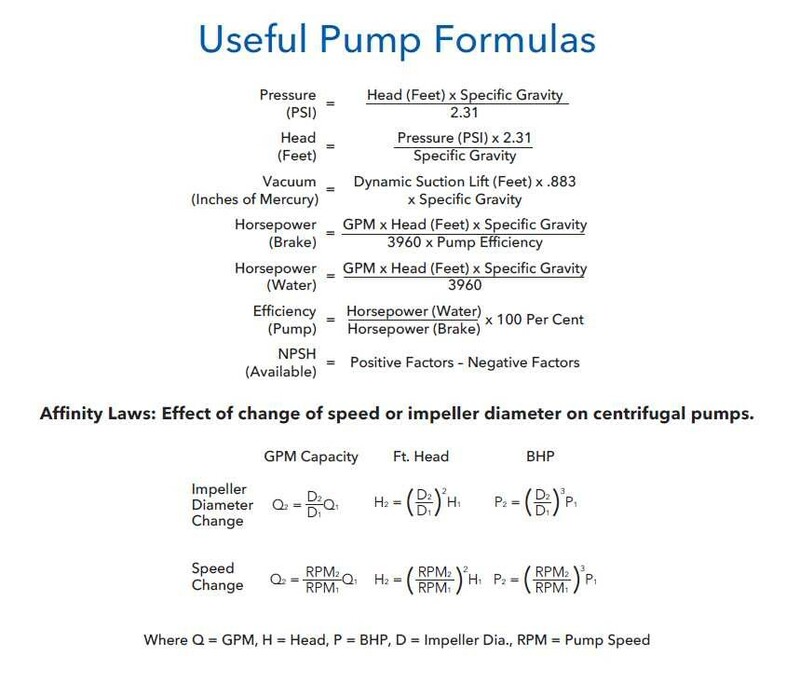 This is the final video in a six-part demonstration for Series 1510 pump maintenance.